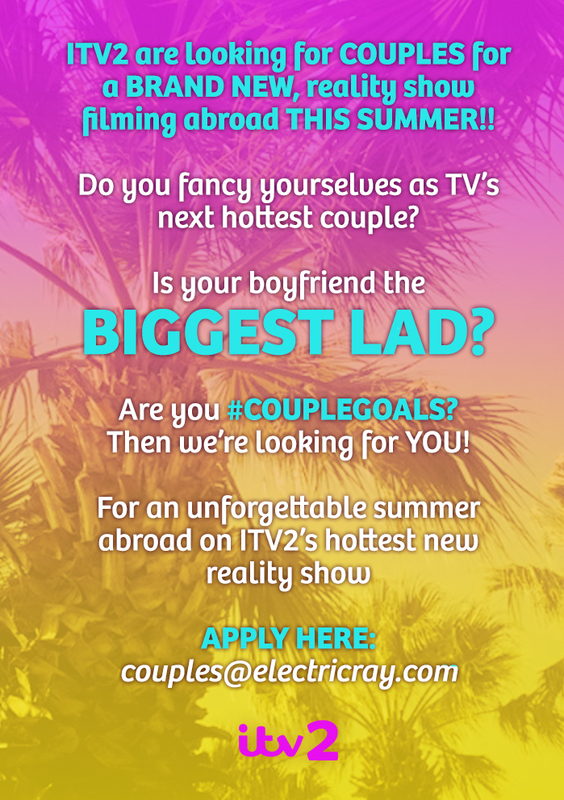 ITV2 are looking for fun COUPLES to spend an unforgettable summer abroad with their lovers! Is this you? If you think you might fit the bill, or know someone that would love to be involved then you can apply and get more information by emailing: couples@electricray.com.